Architectural Mailboxes' monograms offer that decorative touch for all of your household, office, or personal items. Use these monograms on your mailbox, front door, planters, furniture, or wherever you want to enhance an item's aesthetic appeal. The emblem construction is cast aluminum with a durable metallic finish and includes two sided adhesive strip. You can also get kree-ey-tiv and put your own decorative finish on these emblems, the possibilities are endless! If you have any questions about this product by ARCHITECTURAL MAILBOXES, contact us by completing and submitting the form below. If you are looking for a specif part number, please include it with your message. 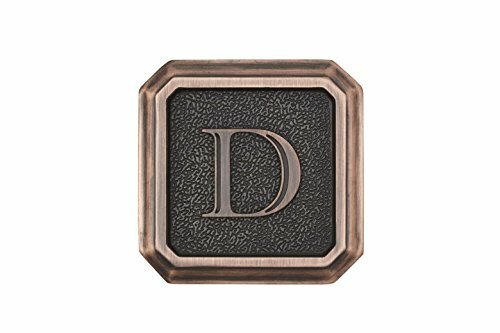 Architectural Mailboxes 3650ORB-B Aluminum Oil Rubbed Bronze Monogram - Letter"B"